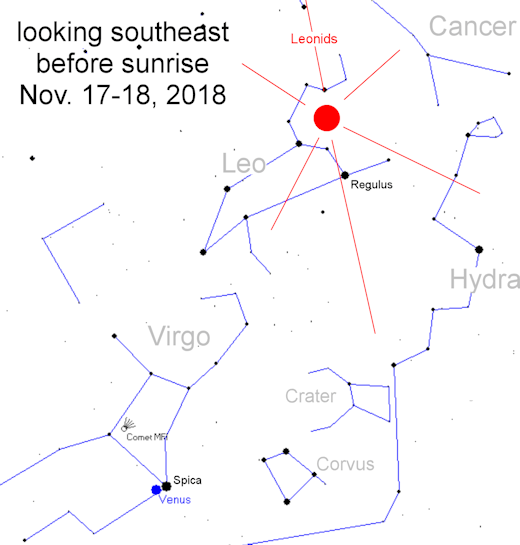 Nov. 16, 2018: Earth is entering a stream of debris from comet Tempel-Tuttle, source of the annual Leonid meteor shower. Last night, NASA’s network of all-sky meteor cameras detected five Leonid fireballs over the USA, numbers that will grow as we enter the weekend. Forecasters expect the shower to peak on Nov. 17th and 18th with rates as high as 15 meteors per hour. The Leonids are famous for storming. As often as a few times each century, Earth hits a dense filament of Comet Tempel-Tuttle’s dusty debris, causing thousands of meteors per hour to stream out of the constellation Leo. Such a display in 1833 kickstarted modern meteor astronomy with an outburst of 100,000 Leonids per hour. Many readers still remember the Leonid fireballs of 1998 and the meteor storms of 1999, 2001 and 2002. 2018 is not a storm year, however. Earth will thread the needle between dense filaments, scooping up a lesser amount of dust. Each speck will hit Earth’s upper atmosphere at ~72 km/s (160,000 mph) producing a swift meteor emerging from the constellation Leo. 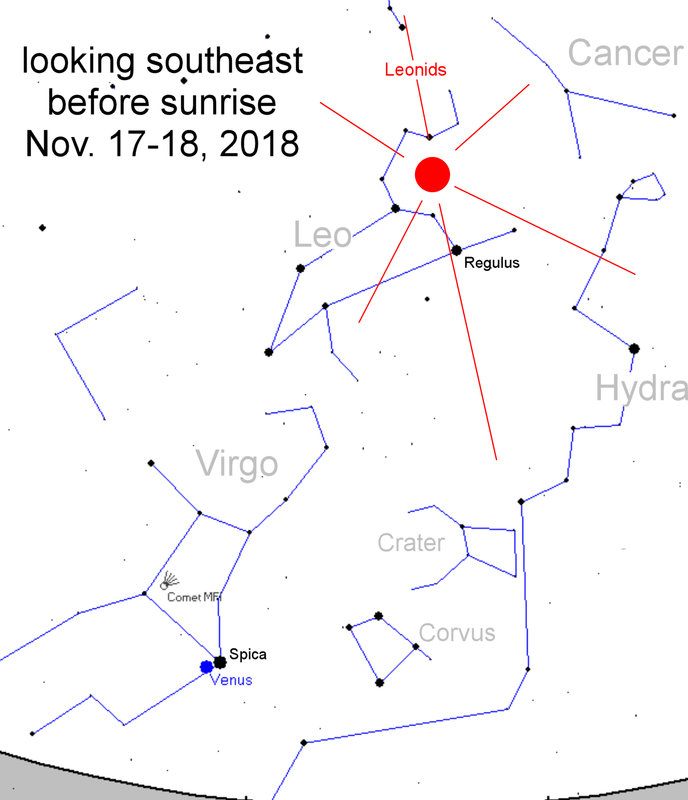 The best time time to look is during the hours before dawn on Saturday, Nov. 17th, and Sunday, Nov. 18th, when the Lion is high in the southeastern sky. 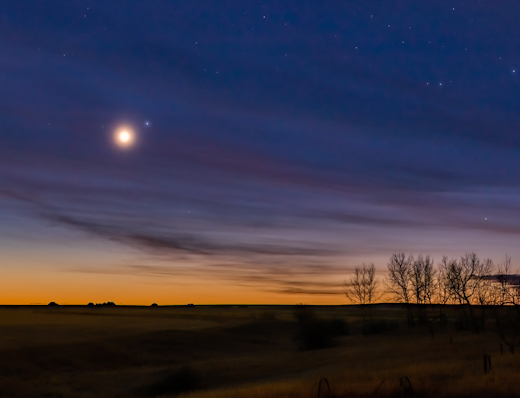 If you do set your alarm for dawn, there’s more to see besides Leonids. For one thing, amateur astronomers have just discovered a new comet in the constellation Virgo. Comet Machholz-Fujikawa-Iwamoto (C/2018 V1) is an easy target for backyard telescopes, shining like a green fuzzy star of 8th magnitude. Use these orbital elements to point your optics.